BahamasLocal.com – often called the Google of The Bahamas – grabbed the spotlight at IMPACT 18 Holland, an event hosted by the Internet Marketing Association (IMA), one of the fastest growing professional organizations in the world providing knowledge-sharing platforms for proven online marketing strategies. Jason McDowall, CEO and President of BahamasLocal.com, utilized the opportunity his speaking engagement provided to lure the IMA Conference to The Bahamas for 2019. McDowall was invited to speak on his company’s expansion plans and entrepreneurial journey which saw the business develop from a two-man operation with no advertisers into the country’s largest and most used website, featuring over 15,000 companies and supported by 160 advertisers. BahamasLocal.com has over half a million unique visitors a month and four hundred million total advertiser message impressions. “I was able to use the evolution of BahamasLocal.com into a multi-million dollar business as an example of how The Bahamas could become the tech hub of the Caribbean,” said McDowall who presented to an international mix of leaders in online marketing. Jason McDowall, CEO and President of BahamasLocal.com with Bob Nolet, Owner of Kettle One Vodka. 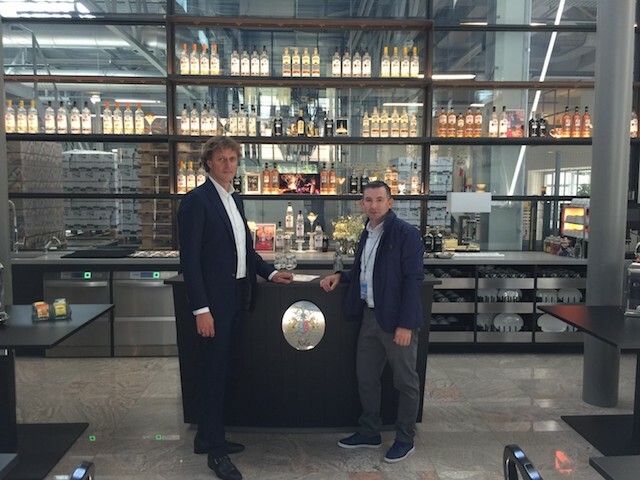 At the Internet Marketing Association (IMA) IMPACT 18 conference in the Netherlands, McDowall met the Nolet Family at their 327-year-old distillery. The BahamasLocal.com CEO has previously traveled with marketing executives from top companies around the world for meetings and networking opportunities from Washington D.C. to Dublin, Ireland – the European headquarters for innovators such as Facebook, Google, LinkedIn, Yahoo!, Apple, PayPal, Cisco Systems and Dropbox. McDowall announced The Bahamas is set to stage IMPACT 19 next year. "It will be a fantastic opportunity for some of the top internet marketers to come and see what the Bahamas has to offer,” he said. “Since coming up with the idea for The Bahamas to become the ‘tech hub’ of the Caribbean, it has taken a long time to get IMPACT to come here." The Internet Marketing Association (IMA) prides itself on carefully assembling life-changing, career growing experiences in some of the world’s most spectacular venues. 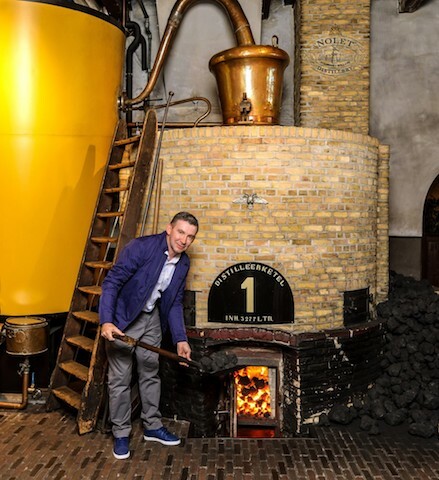 At IMPACT 18, McDowall stayed at the Hotel Des Indes, a Luxury Collection Hotel, located in The Hague, and joined other attendees on a VIP tour of Amsterdam taking in beautiful museums, picturesque canals and the 327-year-old Nolet Distillery, the makers of Kettle One and Nolet Gin. At the distillery, which survived the French Revolution and two World Wars, Bob Nolet Sr., the 11th generation, and Bob Nolet Jr, the 12th generation owners provided insight on its new and innovative marketing strategy for a range of spirits. “The presentation was valuable and offered the opportunity to harness the knowledge of a frontline leader. It gets one thinking,” said McDowall. An online information resource, BahamasLocal.com is a user-friendly search engine owned by Caribbean Local Ltd., a software development company specializing in e-commerce with offices in the USA, The Netherlands, Bonaire and The Bahamas. Over the next 12 months, Caribbean Local Ltd. is expected to roll out BonaireLocal.com, CaymanLocal.com and JamaicaLocal.com. Launched in 2009, BahamasLocal growth has exploded. The popular local search engine features 15,000-plus businesses, a directory of telephone numbers, calendar of events, classified ads from jobs to goods for sale, up to the hour weather reports, news updates every two hours. Viewers can read movie reviews and reserve tickets, see which companies are recommended, sign up for activities, follow links to thousands of sites, and check restaurant menus and reviews. Jason McDowall, CEO and President of BahamasLocal.com at the original Nolet Distillery Kettle.